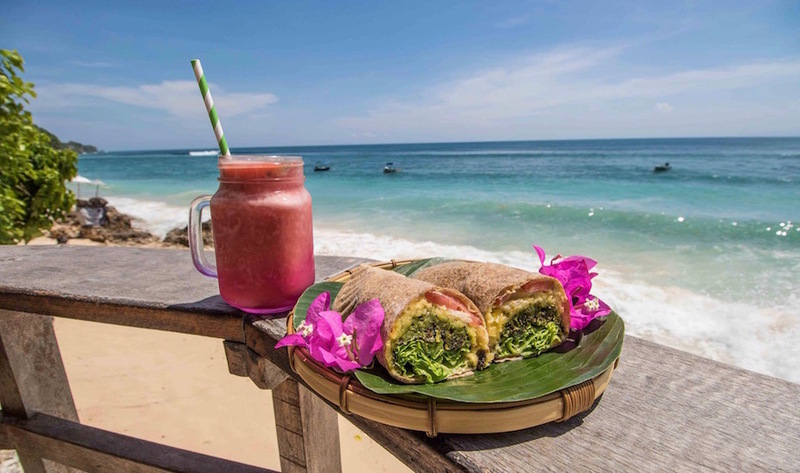 It’s no secret that the food scene is blowing up all over Bali – none more so than down in Uluwatu on the Bukit Peninsula, which, until recently, has mostly been all about cheap’n’cheerful warung eats for the surfie crew. These days, the café culture is booming, and so is the fine dining movement, so here’s our list of where to eat south of the airport, helpfully broken down into Splurging Treats and Everyday Eats. If sipping on sake and tucking into gourmet sushi high above Uluwatu’s sun-soaked cliffside sounds like your kinda restaurant heaven, then you’ll want to direct your dinner plans to Sake no Hana – the internationally-acclaimed modern Japanese destination that sits at the culinary heart of the ever-popular OMNIA Dayclub. Perched atop a 100 metre plateau, Sake No Hana is a sight to be seen indeed, but it’s the food here that’s truly breathtaking. 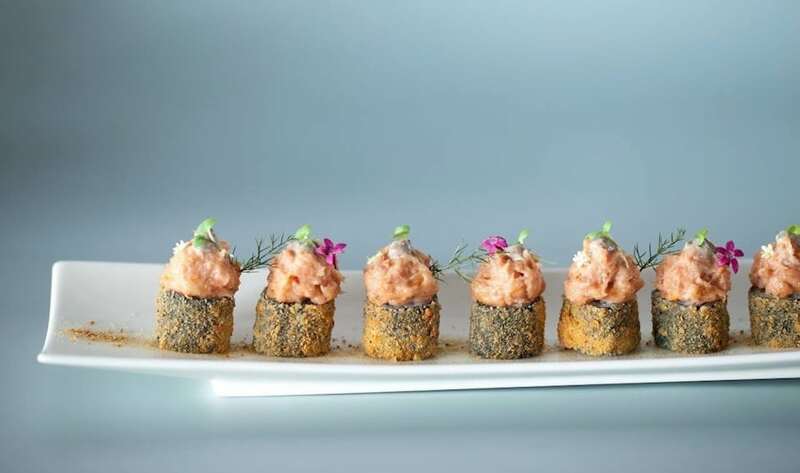 By day, feast on small bites and bento boxes on the al-fresco latticed terrace, then as dusk descends, shift into a grander gear with deluxe charcoal-grilled meat and seafood, Toban-style fare and kamameshi rice dishes. Watch as the chefs take centre stage, meticulously crafting a selection of premium made-to-order sushi and sashimi, or try it all with the degustation menu that’s ripe with Japanese treasures. 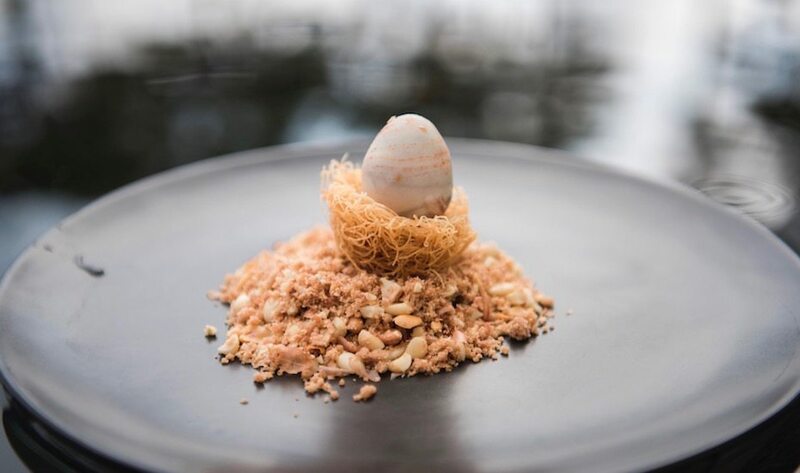 Be sure to make a reservation here – this five-star experience is the hottest new name on Asia’s dining scene. 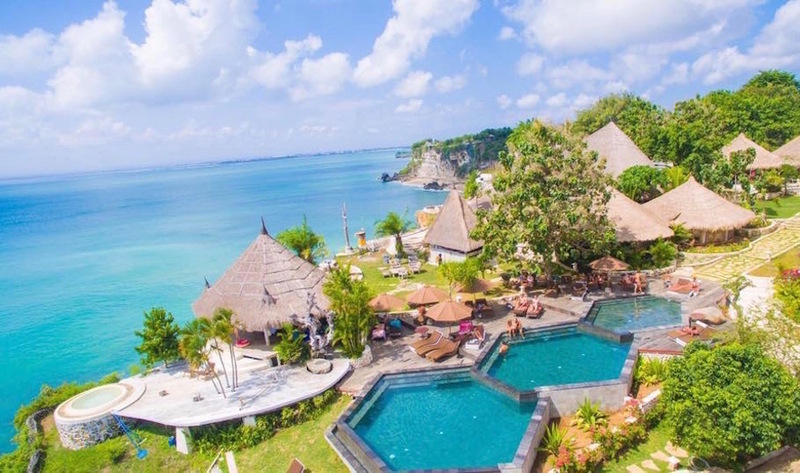 Every day feels like a Sunday down at this stunning beach club, tucked at the bottom of the cliffs on Bali’s far south coast at the luxury The Ungasan Clifftop Resort. Billed as a ‘piece of paradise’, Sundays is a Robinson Crusoe-meets-St. Tropez venue, with its reclaimed coral walls and ramshackle-chic bamboo structures. Chill on the loungers by day or take a stand up paddleboard for a shimmy across the lagoon at low tide. As the day rolls on, pull up a beanbag round the fire for the best seat in the house to watch the sunset show. A designer drinks list coupled with a recent menu overhaul thanks to Aussie chef James Viles completes the picture here at this Honeycombers favourite. 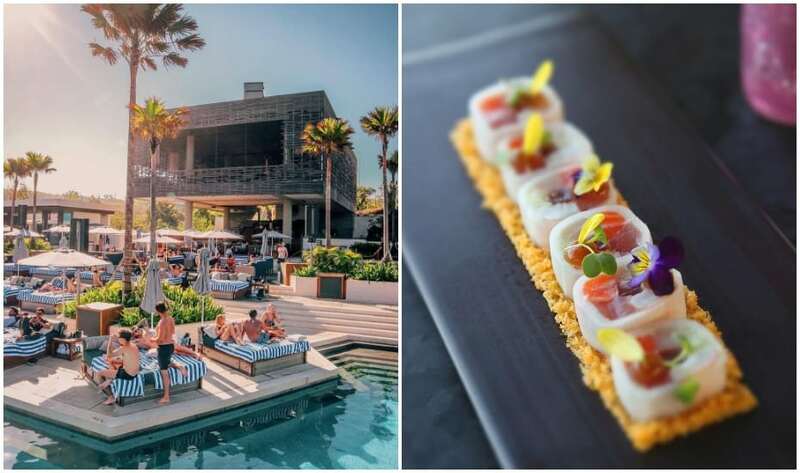 Famed for its cliff-edge infinity pool and Balearic vibrations, this Spanish-style restaurant or ‘cliff club’ brings an authentic taste of The Med to The Bukit. While the food is simply out-of-this-world, El Kabron’s biggest draw card is round about sundown, when a hip crowd descends to watch the show. Live music and proper Catalonia-style tapas are the best things about this joint – tricky to find but even harder to leave. 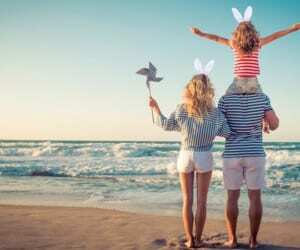 El Kabron, Jl Pantai Cemongkak, Pecatu, p. +62 85 100 803 416, e. info@elkabron.com. Home to what is possibly the world’s most jaw-dropping infinity pool, Oneeighty° at The Edge is the latest aerial destination to blow us away with epic vistas, scrumptious cuisine and designer cocktails that make us as dizzy as the cliff club’s elevated perch. By day, the summery menu reads like a playful ode to classic beachside fare (think giant Papuan prawns drenched in kemangi butter and a zesty squirt of lime) whilst by night, it’s fire pits and uplit coconut palms igniting the twilight vibes. In more ways than one, this dramatic spot is on another level. 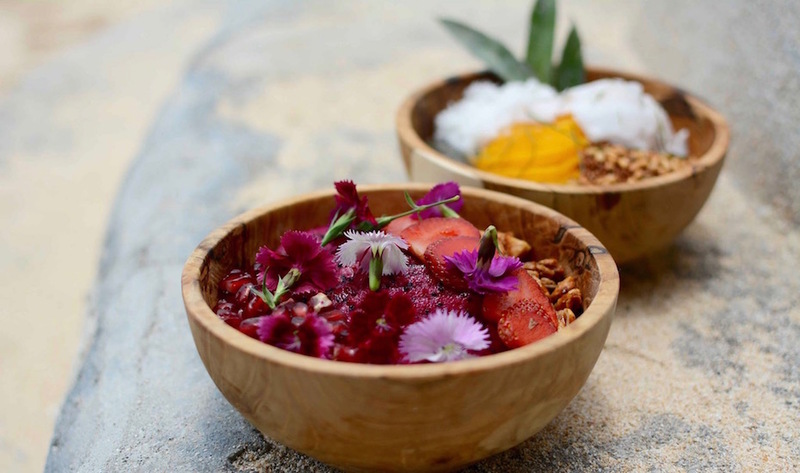 Experience a taste of Indonesia given the fine dining treatment at the super swanky Dugong Restaurant at one of the Bukit’s most exclusive resorts. With a view to die for over Padang Padang beach, dining at Dugong is an unmissable experience. Food-wise, the talented culinary team here sources everything from within a 50km radius, ensuring the freshest ingredients and most authentic local flavours. Dugong Restaurant at Suarga Padang Padang, Jl Pantai Labuan Sait, Br Dinas Labuan Sait, Pecatu, p. +62 361 472 5088, e. dugong@suarga.com. Uluwatu’s most hedonistic playground couldn’t claim such a title without superb food to boot, so this elevated clifftop club enlisted no other than world-renowned Peruvian Chef Diego Muñoz to head the menu, the culinary mastermind who led Astrid & Gaston to #14 in The World’s 50 Best Restaurants List. 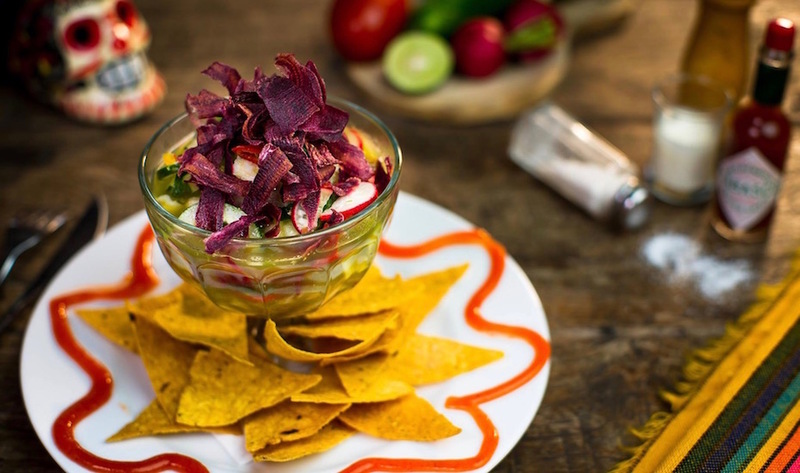 Now at Ulu Cliffhouse, Chef Diego gets creative with culturally diverse flavours – his own personal take on ceviches, tiraditos, ocean-inspired classics and small tapas plates for sharing. Ulu Cliffhouse, Jl Labuan Sait No. 315, Padang-Padang, p. +62 81 338 812 502, e. info@ulucliffhouse.com. Bringing a taste of the Mediterranean to south Bali, di Mare’s breezy cliff top location offers stunning views to complement that glass of Sauv Blanc. The freshest seafood, authentic pasta and hearty meat mains are the talk of the town round here, but don’t just take our word for it – Karma Kandara’s signature restaurant has won a string of awards, and is regularly featured as one of the top tables in all the best travel mags out there. di Mare at Karma Kandara, Jl Villa Kandara, Br. Wijaya Kusuma, Ungasan, p. +62 361 848 2202, e. res@karmaresorts.com. 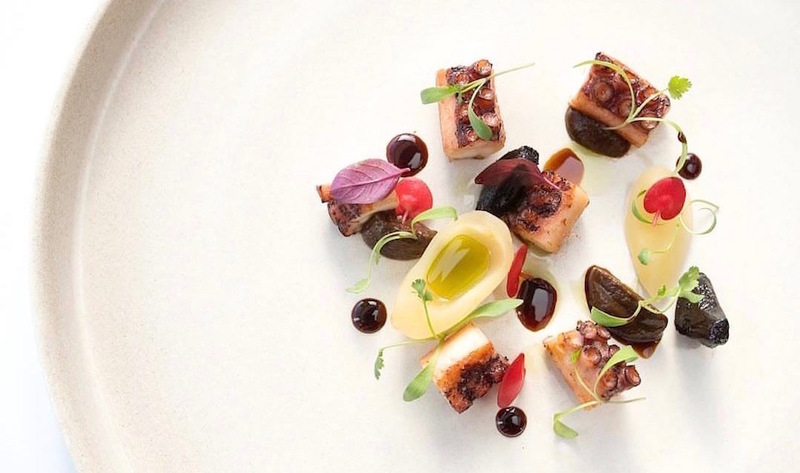 Push the boat out with a trip to the opulent Bvlgari resort’s newest dining experience. 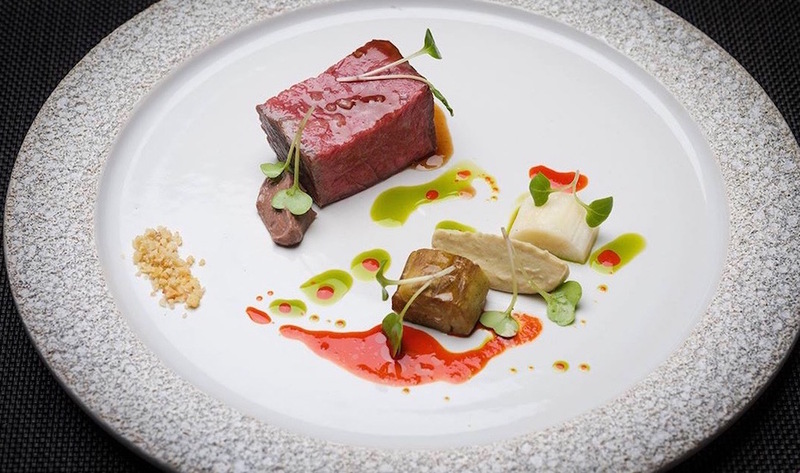 Helmed by famed Michelin-starred executive chef Luca Fantin, Il Ristorante is an intimate 36-seat restaurant that specialises in creative interpretations of classic Italian cuisine. 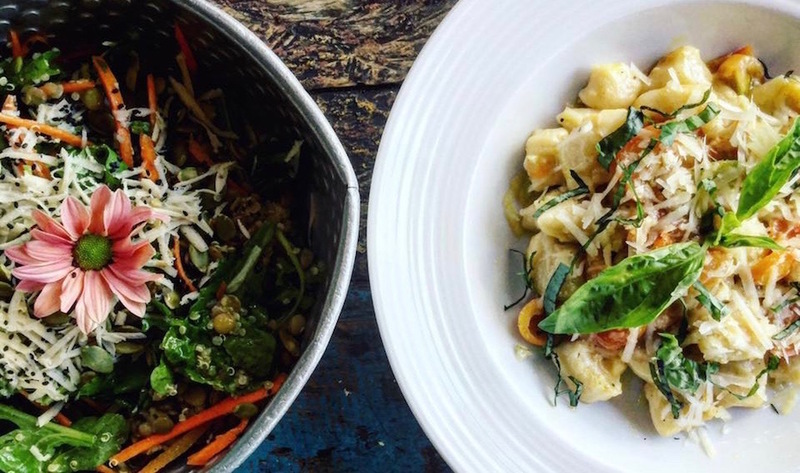 Dress to impress at this dinner-only venue, and make it a date night to remeber. Il Ristorante at Bulgari Resort Bali, Jl Goa Lempeh, Banjar Dinas Kangin, Uluwatu, p. +62 361 847 1000, e. restaurant.reservations.bali@bulgarihotels.com. The Cashew Tree, Jl Pantai Bingin No.9, Pecatu, p. +62 85 953 789 675. A shrine to all things old school surf, Drifter wears its vintage vibes proudly, stocking a range of underground labels and some of the most beautiful ocean-inspired art around. Browse the shop and when you’re done, head out the back to the peaceful garden café area where you’ll find excellent coffee and a range of deliciously healthy dishes all throughout the day, from breakkie plates and rice paper rolls by day, to Balinese curries and grilled fish at night. Top tip, swing by on a Friday night and you might catch a live band or al-fresco movie viewing beneath the stars. Tucked right into the bottom of the cliffs at Bingin, Kelly’s is something of an institution around these parts. Overlooking the famous waves out front and with steps that go down right onto the sand, there’s few better places to while away a lazy day. The food is simple, healthy and hearty, with a refreshing drinks list and some of the coldest beers around. 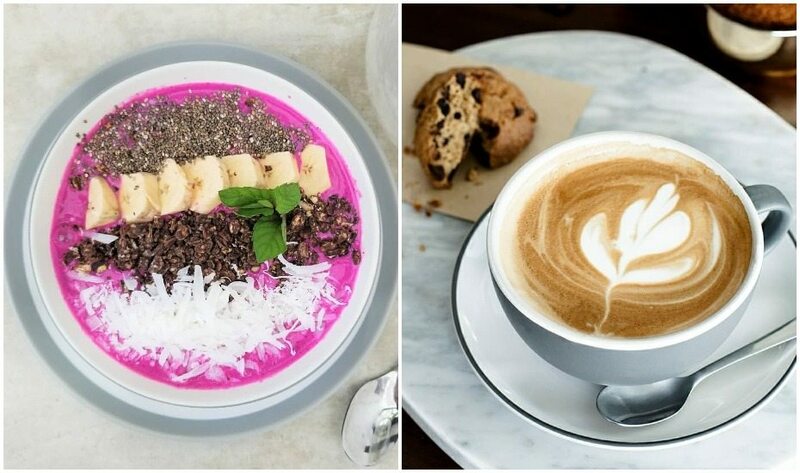 Try the colourful Pitaya Bowl for brekkie, and the generous wraps for a post-surf lunch. Kelly’s Warung, Bingin Beach, Bingin, p. +62 81 353 007 313. Come for the epic views, stay for the soulful food and next-level cocktails. Mana Uluwatu is perched high up on the cliffs of Uluwatu Surf Villas, overlooking the pumping waves and glittering horizon. 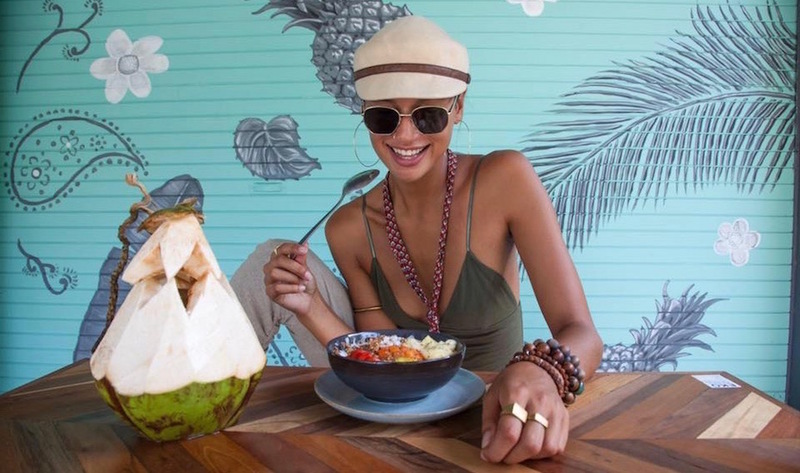 In true surfer style, the food here is all about wholesome, nourishing bites from both land and sea. 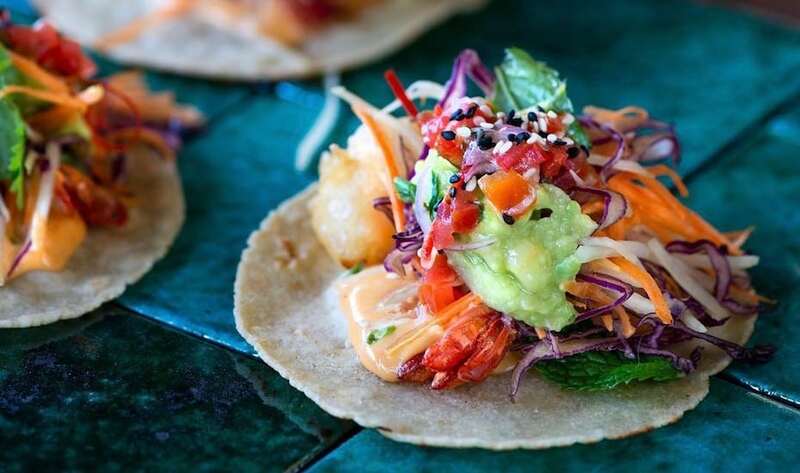 Think Baja shrimp tacos and jackfruit enchiladas. Soft shell crab gazpacho and roasted chicken with turmeric-dill rice – all dished up in a gorgeous open-air pavilion made of reclaimed teak and ironwood. 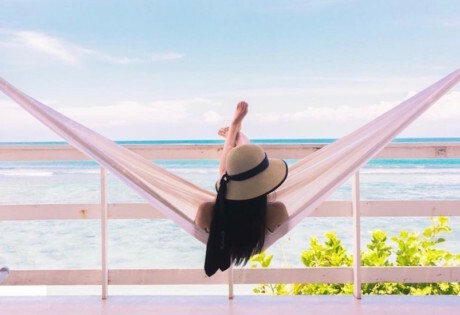 The views, the food and hella good vibes here are all best enjoyed with a Mana cocktail in hand and a golden glow out yonder – try the Spiced Espresso Martini and whatever you do, don’t go past the Lilikoi Mojito. Mana Uluwatu, Jl Pantai Suluban (inside Uluwatu Surf Villas), Uluwatu, p. +62 817 555 421 e. mana@uluwatusurfvillas.com. Open daily 7am – 10pm. 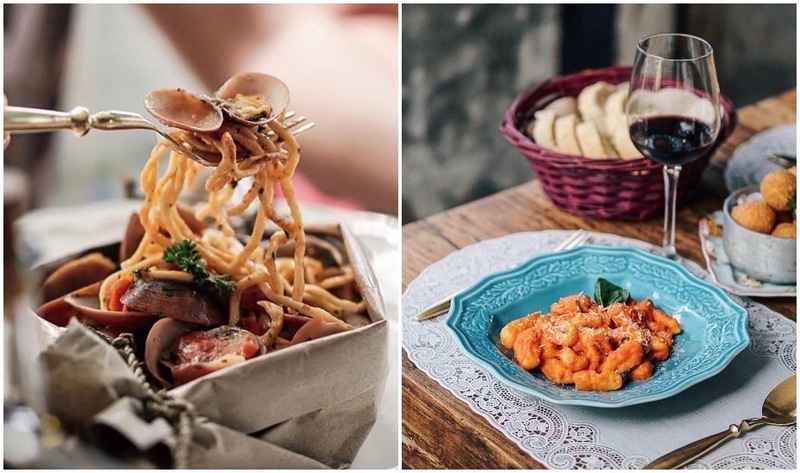 Everyone’s favourite rustic island Italian has finally thrown open the doors at its newest location on the main road just before Padang Padang. 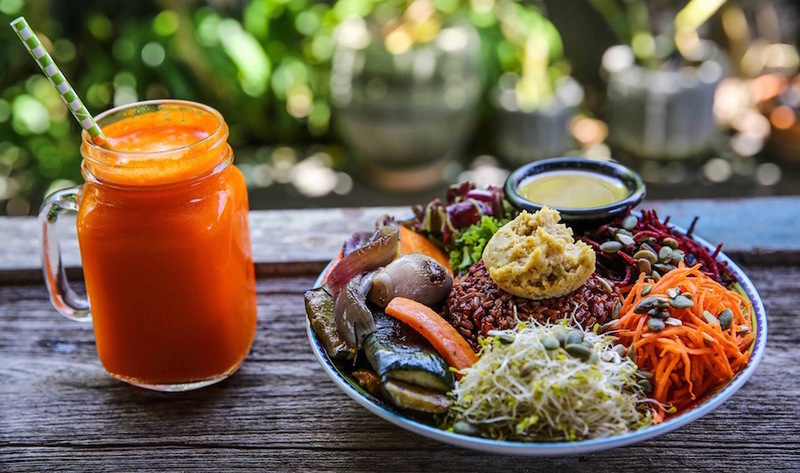 Now in Canggu, Seminyak, and more recently the burgeoning Bukit, expect authentic comfort food like wood-fired pizzas, house-made pastas and a host of veggie & vegan options that won’t break the bank. La Baracca, Jl Labuan Sait 10, Padang Padang, p. +62 82 145 175 621, e. info@labaraccabali.com. Ideal for breezy breakfasts and casual lunches, The Bukit Café does exactly what it says on the tin: delicious western style café fare in the heart of the hills. 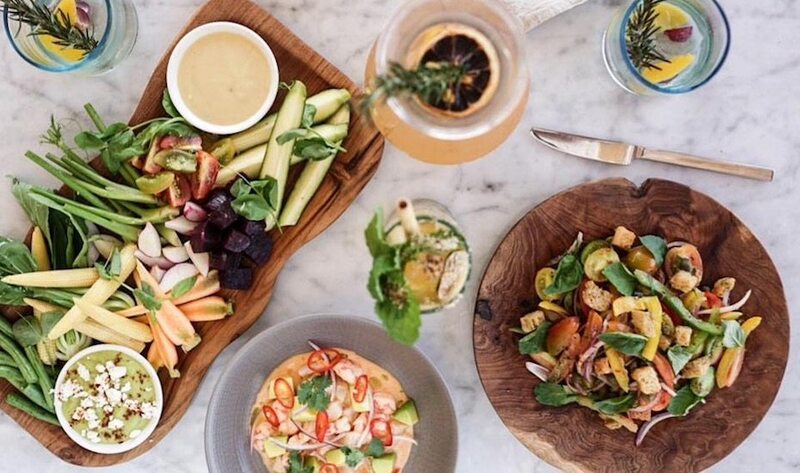 Swing by in the A.M. for an assortment of treats like smashed avo on toast, a Greek omelette, or a yoghurt fruit parfait, or check out the salads, sandwiches and seafood goodies from lunch through to sundown. 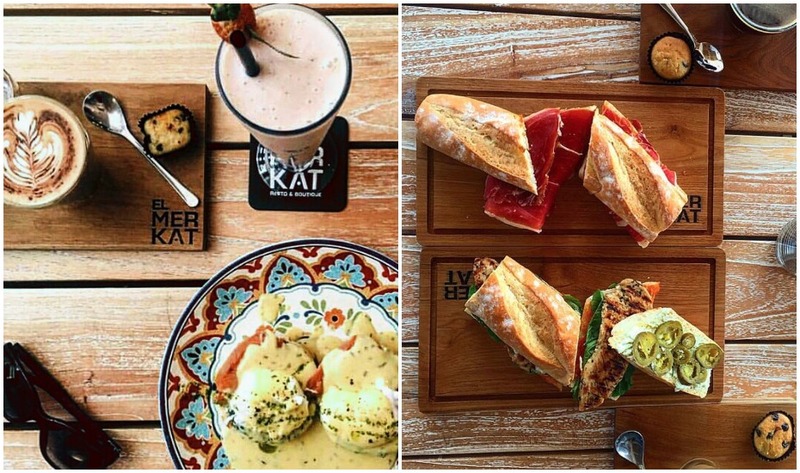 The newest venture from the team behind El Kabron, El Merkat is a bright, breezy and easy place for a late brekky, brunch or lunch during your Bukit sojourn. Think stacked bocadillo sandwiches and hearty salads given the magic Spanish touch, washed down with top-notch coffee and healthy pressed juices. Conveniently located on the main road going past Dreamland, El Merkat is the ideal stop off to pick up some takeaway goodies for a Bukit beach picnic. 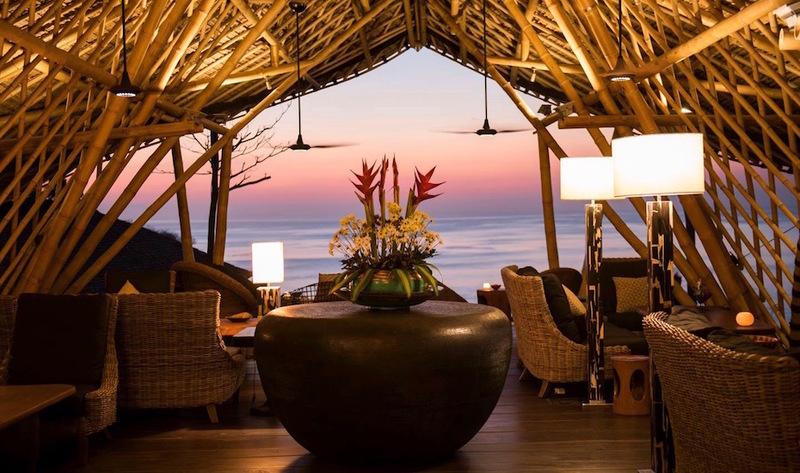 El Merkat, Jl Raya Uluwatu km9, Bukit, +62 811 397 6300, e. generalmanager@elmerkatbali.com. 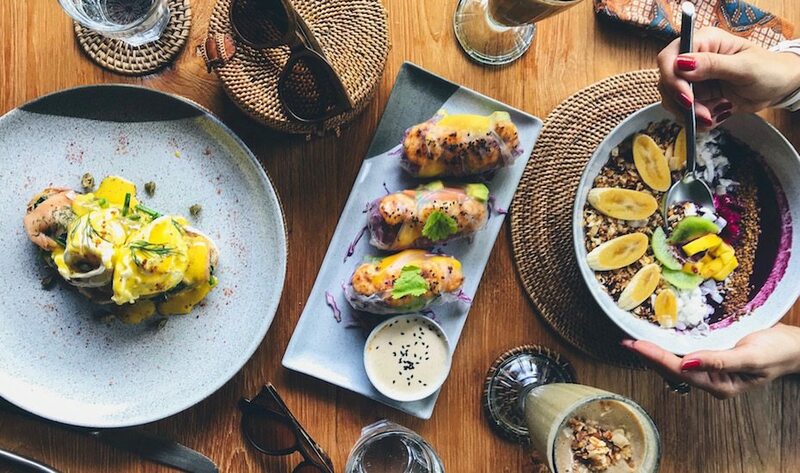 Brunch fanatics flock to this little Bukit gem thanks to the neat and utterly delicious menu of mostly morning and lunchtime dishes (the avocado smash here is arguably the best in the Bukit, and comes with a schmear of beetroot hummus – need we say more?) whilst coffee lovers come for the fact they source their beans in small batches from Indonesia and South America for the perfect cuppa joe. Yup, this is a must-try stop-off for your daily coffee & brunch fix. Suka Espresso, Jl Labuansait, Badung, p. +62 81 246 631 756, e. sukaespresso@gmail.com. 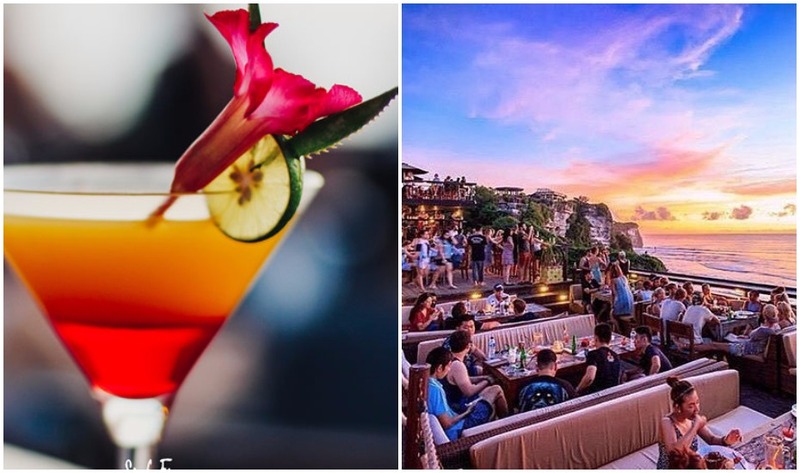 After the success of its legendary Sunday Sessions, this cliff-top surfie bar watching over Uluwatu’s famous surf break now packs in the crowds every day (and night) of the week. An impressive roster of live bands and DJ beats keep the good vibes flowing for the crew on Single Fin’s enormous balcony. Icy cold beers, cool cocktails and super decent grub ensure a day (and night) to remember at this hip hotspot. Single Fin, Pantai Suluban, Jl. Labuan Sait, Uluwatu, p. +62 361 769 941, e. reservations@singlefinbali.com. 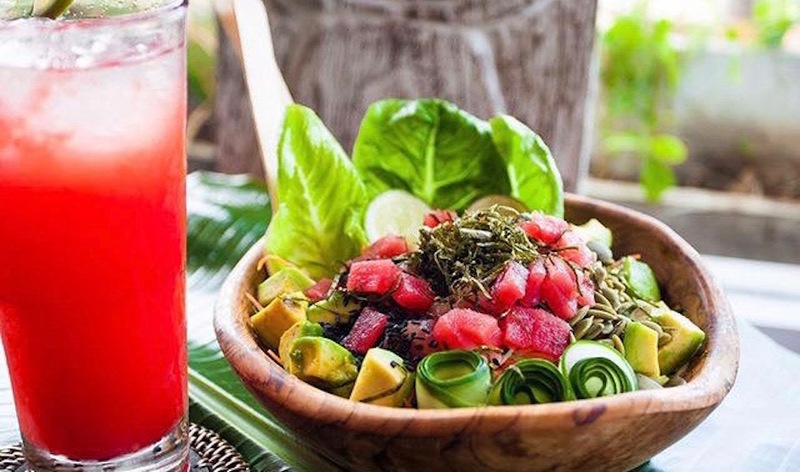 As you’d expect, this stylishly simple concept counter housed within Uluwatu’s famed Single Fin Bar serves up either delightful bowls of sweet vegan-friendly coconut whip, or Hawaiian style tuna poke bowls with a selection of toppings and salad goodies. The only problem is deciding whether to go for sweet or savoury – either way, this is guilt-free snacking at its best! Coco & Poke at Single Fin,Jl. Labuan Sait, Uluwatu, p. +62 87 861 640 121. 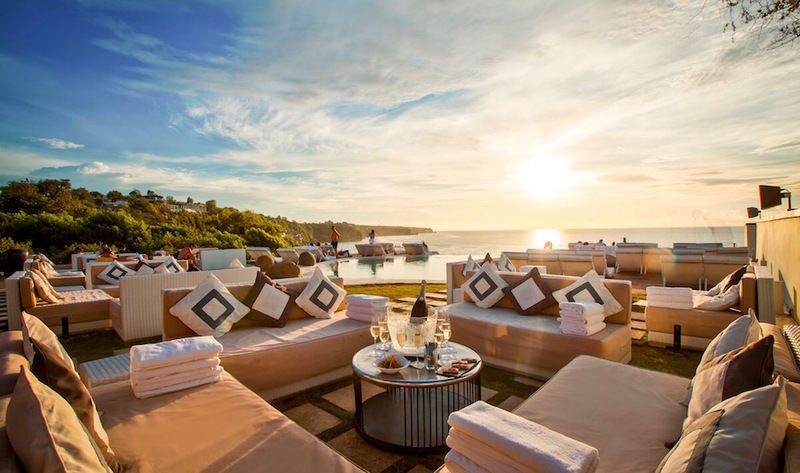 Sitting at the heart of the blissful La Joya resort on sleepy Balangan Beach, the restaurant serves up a delicious mix of international and local dishes in a stunning poolside setting with views all the way over to Jimbaran and beyond. With its peaceful ambiance and twinkling candles after dark, La Joya is the perfect spot for a romantic dinner with your other half. Swing by on a Saturday for the live BBQ with free-flow buffet. La Joya, Jl Pantai Balangan, Pecatu, p. +62 811 399 0048, e. informations@la-joya.com. 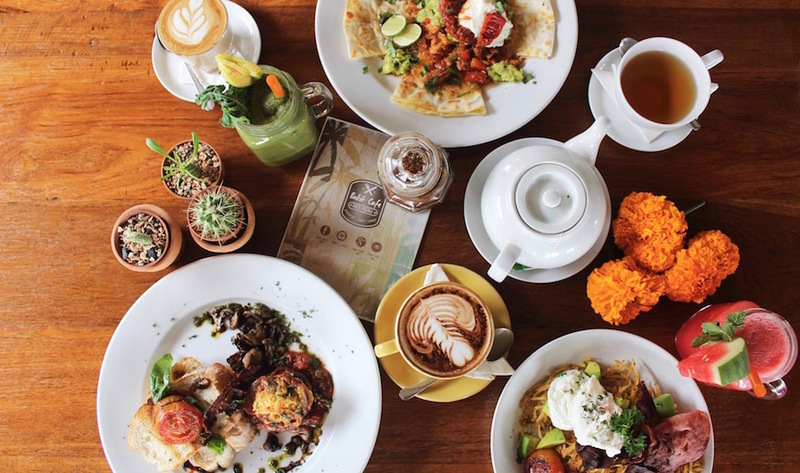 Another Seminyak fave that has popped up on the hill, Rolling Fork features a stack of Italian favourites, served with love, and best enjoyed on the cute colonial-style front verandah. On the menu: traditional style calzone, burrata, pasta and pizzas washed down with a glass of red or white and plenty of la dolce vita! They also knock out a selection of delicious smoothie bowls for the breakfast club – what more could you want?! Rolling Fork, Jl Labuan Sait 51, Padang Padang, p.+62 361 335 0630 e. rollingforkbukit@gmail.com. 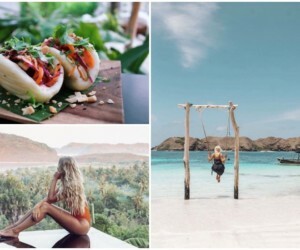 Simple and unpretentious stuffed full of delicious home made cakes – this charming little café should be top of the list if you’re heading for the peaceful shores of Balangan Beach. 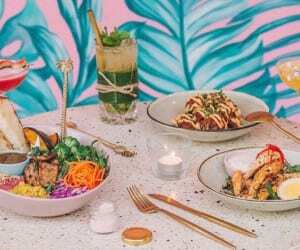 The coffee is also top-drawer, as is the laid-back atmosphere and assortment of healthy South American inspired bites like ceviche, tortillas and guacamole toast. Swing by in the evening to catch the nightly live bands. Cafe La Pasion, Jl Pantai Balangan, Jimbaran, p. +62 81 238 109 228 / +62 81 246 822 188. Your one-stop shop for surf essentials, stylish threads and some of the best coffee around, BGS is well worth a peep on your Bukit tour. The snacky menu features healthy salads, house-made smoothie bowls, freshly-baked cookies and other scrummy nibbles that go perfectly with a spiced almond milk latte or post-surf beer (or two). BGS, 77x Jl Raya Uluwatu, Ungasan, p. +62 87 861 813 103. From Bondi via Brisbane to Bali with love. 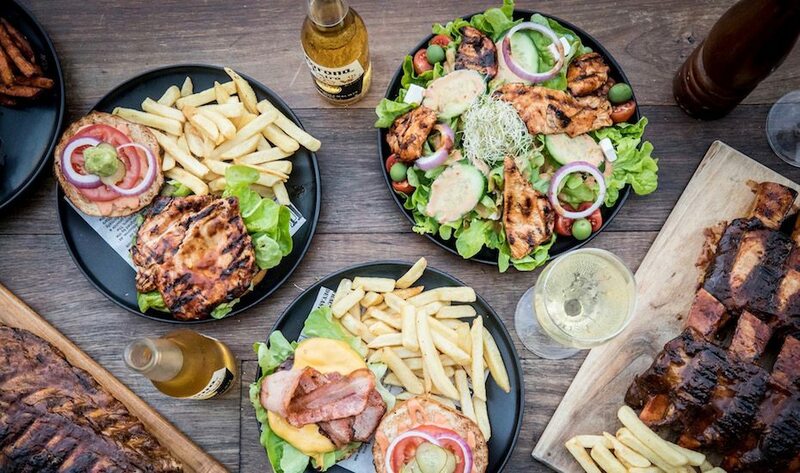 Bondi Grill’e is Uluwatu’s Australian-born steakhouse that means serious business when it comes to whopping hunks of ribs, grilled chicken, freshly caught mahi-mahi and, of course, caveman-style slabs of steak. All if these summer-barbecue style plates are served with chips or salad in a chilled out atmo. 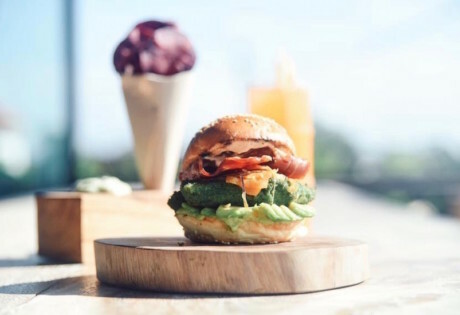 It ain’t the Ritz, but it’s finger licking delish, and just what you need post-surf or pre-night out. Bondi Grill’e, Jl Labuhansait, Uluwatu, p. +62 878 6010 8053, e. enquiries@bondigrille.com.au. 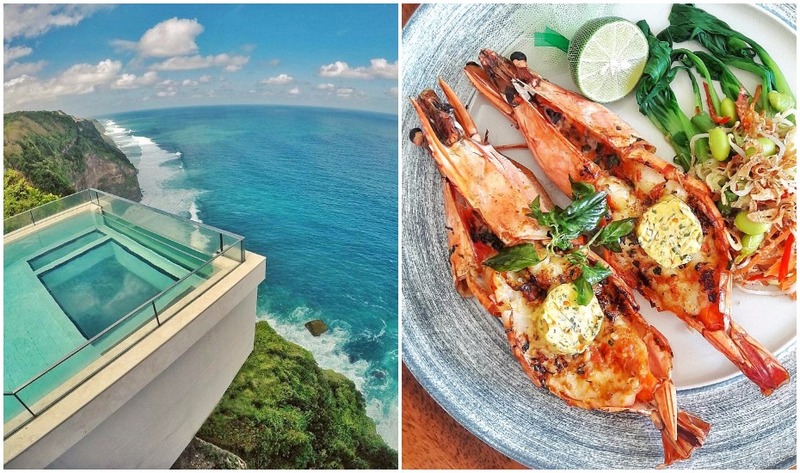 Looking for more cheap eats in Uluwatu? 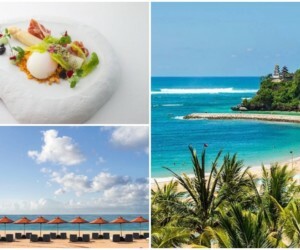 Try Bukit Sausage for homemade plates of Japanese-inspired treats, Ayu’s Food From The Heart for soulful bowls, burgers and salads, Alchemist Bali for poolside grazing, Pizzeria Italia and Casa Asia for the authentic Italian favourites, and The Mango Tree for casual Mexican bites.